IMAGING DRUM HP C8560A 40000 PAGES BLACK Laserjet drum. Consistently outstanding print quality. Easy to use and maintain due to new print cartridge architecture. Designed for reliable HP performance .. IMAGING DRUM HP C8561A 40000 PAGES CYAN Laserjet drum. Consistently outstanding print quality. Easy to use and maintain due to new print cartridge architecture. Designed for reliable HP performance a.. IMAGING DRUM HP C8562A 40000 PAGES YELLOW Laserjet drum. Consistently outstanding print quality. Easy to use and maintain due to new print cartridge architecture. Designed for reliable HP performance.. IMAGING DRUM HP C8563A 40000 PAGES MAGENTA Laserjet drum. Consistently outstanding print quality. Easy to use and maintain due to new print cartridge architecture. Designed for reliable HP performanc..
TONER CARTRIDGE HP C3903A 4000 PAGES BLACK Laser cartridge. 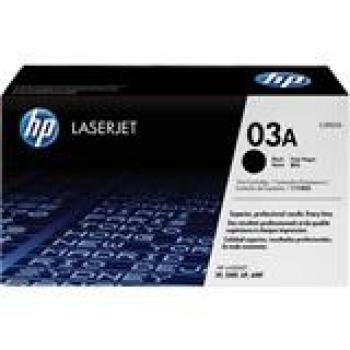 The HP 03A Black LaserJet Toner Cartridge with microfine toner is ideal for business or home users who need professional-quality laser outp..
TONER CARTRIDGE HP C3906A 2500 PAGES BLACK Laser cartridge black. 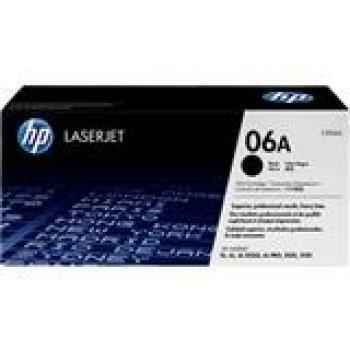 The HP 06A Black LaserJet Toner Cartridge is ideal for business or home users who need professional-quality laser output. It is desig..
TONER CARTRIDGE HP C4092A 2500 PAGES BLACK Toner cartridge black. 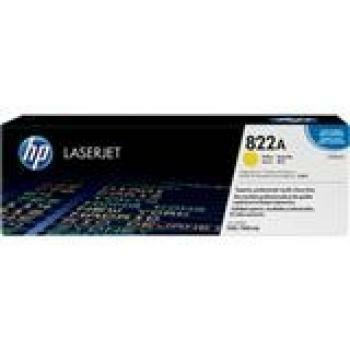 The HP 92A Black LaserJet Toner Cartridge is a single-part print cartridge with Ultraprecise technology and a new toner formulation. ..
TONER CARTRIDGE HP C4096A 5000 PAGES BLACK Toner cartridge black. HP 96A Black LaserJet Toner Cartridge with Ultraprecise technology and black toner for the HP LaserJet 2100 and 2200 Printer series. 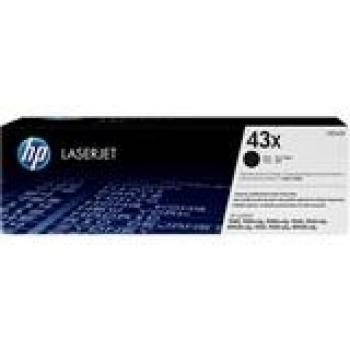 ..
TONER CARTRIDGE HP C4127X 10000 PAGES BLACK Toner cartridge black. 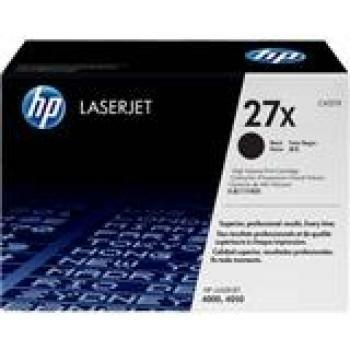 The HP 27X Black LaserJet Toner Cartridge with Ultraprecise technology is perfect for medium to high volume users who value the adde..
TONER CARTRIDGE HP C4129X 10000 PAGES BLACK Toner cartridge black. 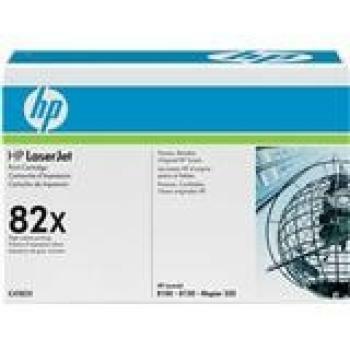 HP 29X Black LaserJet Toner Cartridge with Ultraprecise technolgy for the HP LaserJet 5000 and 5100 Printer series. Average cartridg..
TONER CARTRIDGE HP C4182X 20000 PAGES BLACK Toner cartridge black. HP 82X Black LaserJet Toner Cartridge with Ultraprecise technology for the HP LaserJet 8100 and 8150 Printer series. Average cartrid..
TONER CARTRIDGE HP C7115A 2500 PAGES BLACK Ink cartridge black. The HP 15 LaserJet Toner Cartridge delivers the professional quality and legendary reliability you expect from HP LaserJet printing. Yo..
TONER CARTRIDGE HP C7115X 3500 PAGES BLACK Ink cartridge black. The HP 15 LaserJet Toner Cartridge delivers the professional quality and legendary reliability you expect from HP LaserJet printing. Yo..
TONER CARTRIDGE HP C8061X 10000 PAGES BLACK Ink cartridge black. Maximum capacity, HP LaserJet 61X smart print cartridge is designed to work precisely with HP LaserJet 4100 Series printers, for optim..
TONER CARTRIDGE HP C8543X 30000 PAGES BLACK Ink cartridge black. Enjoy the legendary quality and reliability of HP LaserJet printing with the HP 43X LaserJet Toner Cartridge. 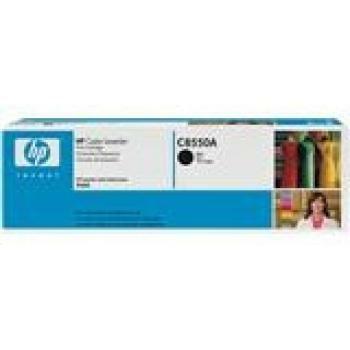 To ensure consistently o..
TONER CARTRIDGE HP C8550A 25000 PAGES BLACK Ink cartridge black. Vibrant, accurate color. Uniform gloss. HP Color LaserJet 9500 supplies provide professional-quality printing. Product information: ..
TONER CARTRIDGE HP C8551A 25000 PAGES CYAN Ink cartridge cyan. Vibrant, accurate color. Uniform gloss. HP Color LaserJet 9500 supplies provide professional-quality printing. Product information: Ma..
TONER CARTRIDGE HP C8552A 25000 PAGES YELLOW Ink cartridge yellow. Vibrant, accurate color. Uniform gloss. HP Color LaserJet 9500 supplies provide professional-quality printing. Product information:..
TONER CARTRIDGE HP C8553A 25000 PAGES MAGENTA Ink cartridge magenta. Vibrant, accurate color. Uniform gloss. HP Color LaserJet 9500 supplies provide professional-quality printing. Product informatio..